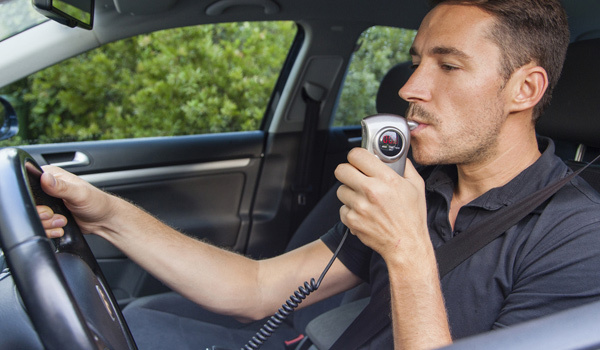 An alcohol interlock is a breath operated device that can be installed in a drink driver’s vehicle to prevent them starting the car if they have alcohol on their breath. The driver has to blow into the device in order to start their car – which will not start if there is alcohol on their breath. Historically, New Zealand has punished this group of offenders by disqualifying them from driving for fixed periods of time. The worst offenders are disqualified indefinitely. But disqualification often imposes a burden on family members or employers who feel they have to drive the offender to work or to other appointments. If the drink driver doesn’t have this kind of support, they may lose their job – an unintended consequence of their conviction. This doesn’t help with self-esteem of the offender’s future prospects. Interlocks provide a very different way of dealing with drink drivers. The device enables the offender to continue driving but, at the same time, keeps the community safe – at least for as long as it is installed in the car. In order to maximise their effectiveness, while the interlock is installed, the offender also needs to get their drinking under control. They need to be referred to rehabilitation or treatment programmes which either address their drinking or their thinking around this issue. Interlocks are used in many countries around the world including Australia, the United States, Sweden, Finland, France, Belgium and the Netherlands. The EU has produced a harmonised code on their use. They were made available as a sentencing option in New Zealand in 2012. In the first year, 11,692 drink drivers met the criteria for installation (repeat offending or high reading on a first offence). However, interlocks are not mandatory in New Zealand and researcher, Gerald Walters, has found judges have been reluctant to compel offenders to install them. The main obstacles to their uptake is the cost, which currently has to be met by the offender. There is an installation fee, a monthly re-calibration fee, and a removal fee – all of which comes to a total cost of about $2,500 a year, the minimum period for which the device has to be installed. This is not a viable sentencing option for offenders on low incomes.